We have lovely neighbours on our street. Lots of them have popped by with gifts for Zoe and cards, and more have stopped me on the street to say how glad they were to hear our news. The gossip factory worked fast after our next-door neighbours spotted the ambulance pulling up outside the night Zoe was born, and saw her coming back from hospital the next day. 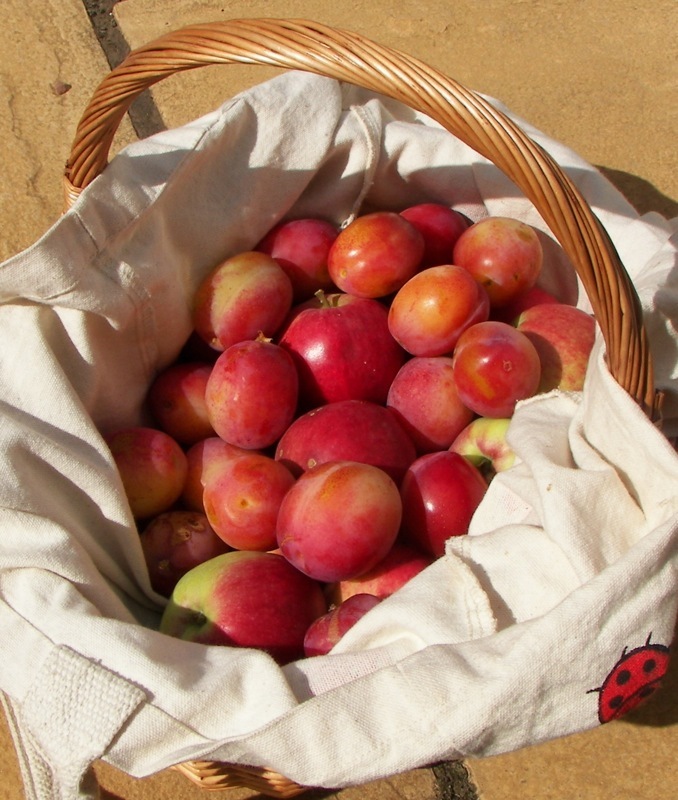 Now the chap down the road, a roofer who recently did some repairs to our roof and chimney for a very good price, has offered us the harvest of his plum and apple trees. I went down with Zoe today and picked a basketful of delicious Victorias and (I think) Discoveries. And I made no dent in the crop whatsoever!